Fall began less than a month ago but if you’re already noticing the effects of the dryer air on your skin, then you need to keep reading. 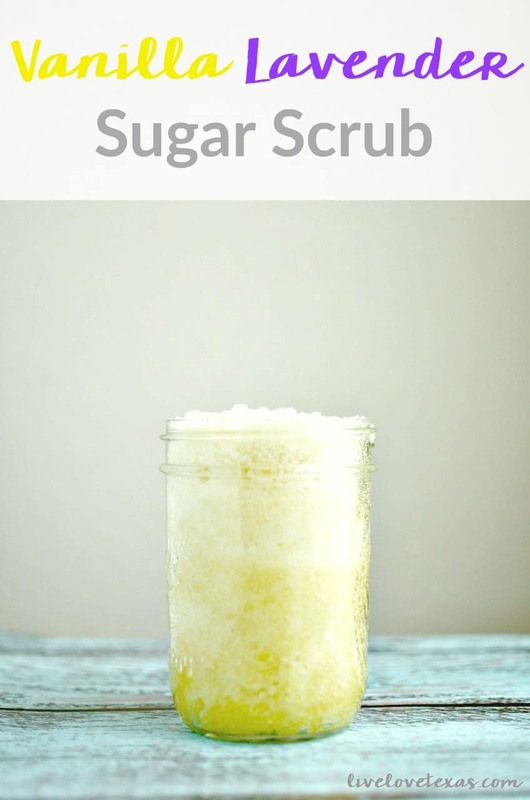 Y’all know I’m not the craftiest of people, but one thing I believe firmly in is the power of homemade sugar scrub recipes and my newest concoction, this homemade apple cinnamon sugar scrub recipe, does not disappoint. 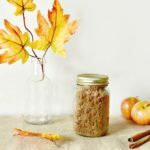 This homemade apple cinnamon sugar scrub recipe gives you smells like your favorite fall treats, does an expert job at exfoliating your skin, and uses only 5 ingredients. Four of these are everyday pantry staples that you likely already have on hand like brown sugar, white sugar, cinnamon, and coconut oil. Don’t worry if you don’t have coconut oil though, other neutral smelling oils such as sesame will also work great. That fifth ingredient is the one that might throw you. When I decided I wanted to make a homemade apple cinnamon sugar scrub, I knew getting the apple flavor to come through might be difficult. It’s not like it’s like pumpkin and has a strong odor presence on it’s own. Apple is a pretty neutral odor without a little help. But I did everything I could to resist buying other ingredients that weren’t household staples. 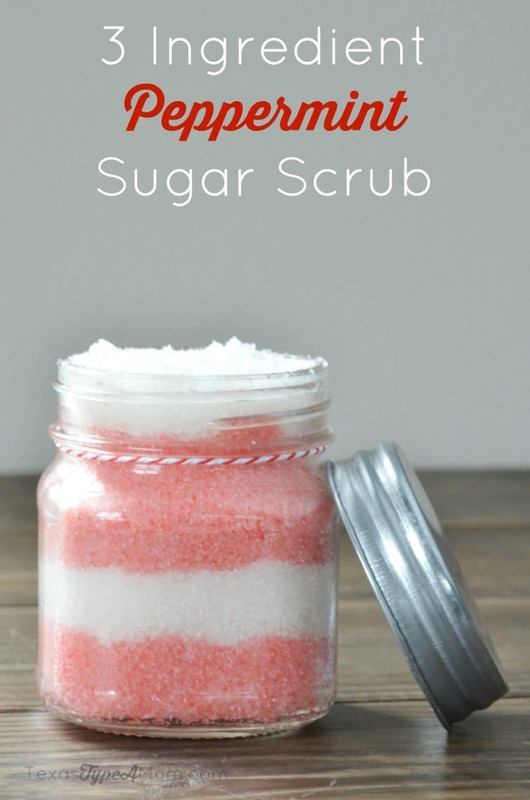 on Amazon here (this is my affiliate link, so if you choose to buy it I’ll receive a few cents on your purchase that I’ll use to create more homemade sugar scrub recipes). 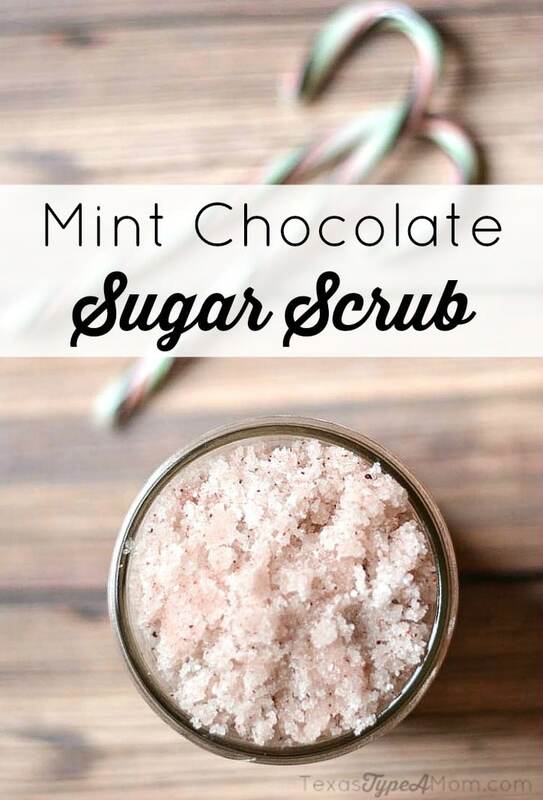 Mix together sugars, cinnamon, and fragrance oil until combined. Pour coconut oil onto sugar mix and stir until moist. Transfer to 12 ounce, wide mouth canning jar or desired container to store. 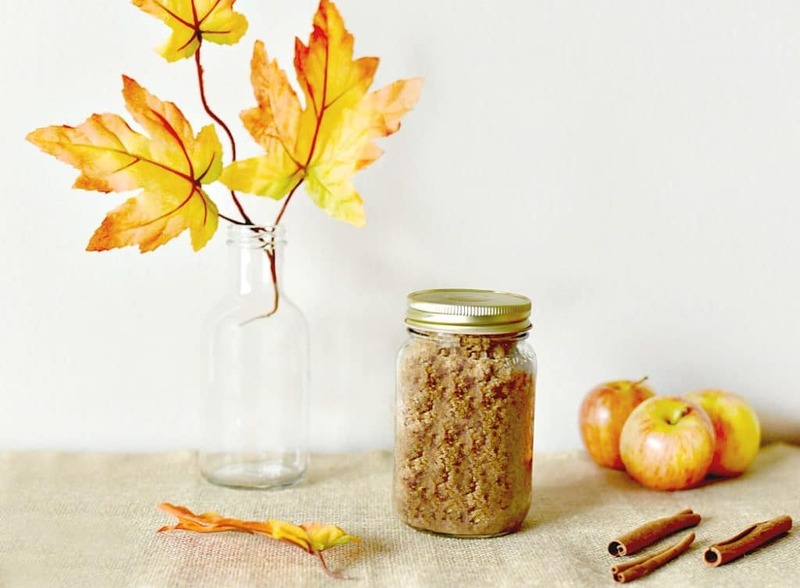 If you make this homemade apple cinnamon sugar scrub recipe, make sure to pin it for later. And if you try this, I’d love if you would share your thoughts with me on Facebook! 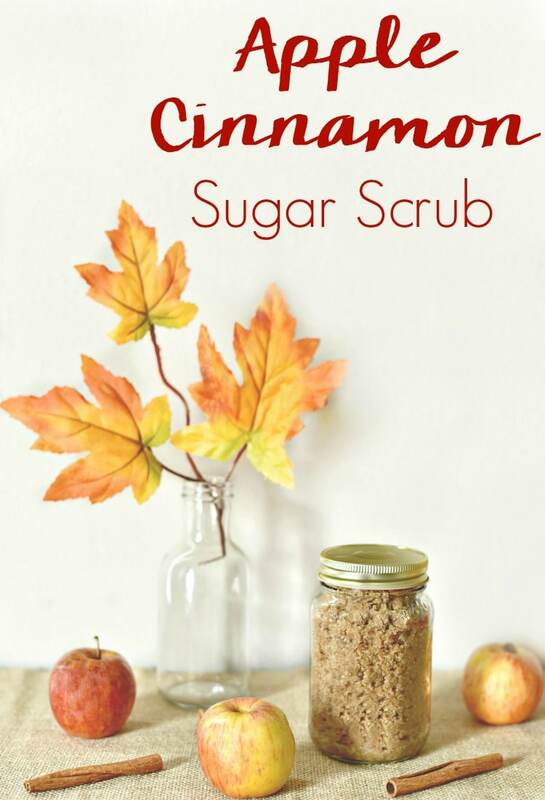 It’s just that easy to make this homemade apple cinnamon sugar scrub recipe but if you’re looking for more of the best homemade sugar scrub recipes, check out the recipes below for a 3 Ingredient Peppermint Sugar Scrub, Vanilla Lavender Sugar Scrub, and Mint Chocolate Sugar Scrub. For even more beauty recipes and tutorials, be sure to follow my beauty board on Pinterest!